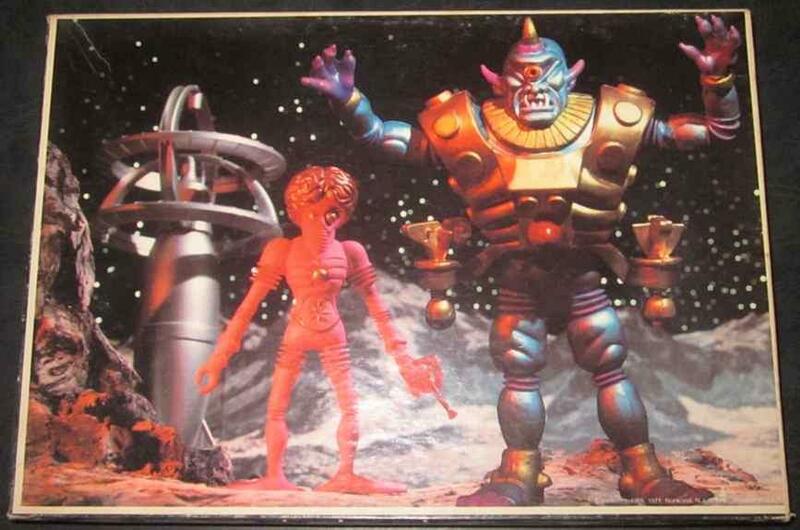 This page is devoted to the mini aliens playsets and Colorforms playset and puzzles. 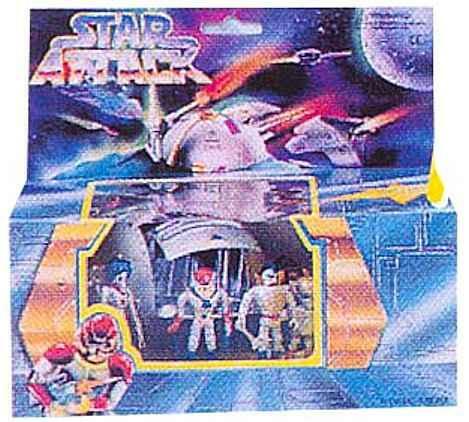 This is the Star Attack play set, which is practically identical to the Space Attack play set below. I recently got a better pic of this one and here it is. 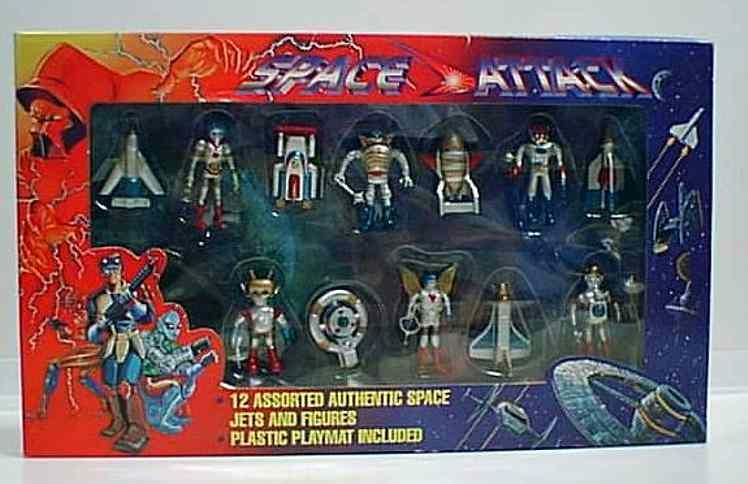 This is the Space Attack play set which is identical to the Star Attack play set, except for the name and the packaging. Both of these were probably produced in the 1990s. 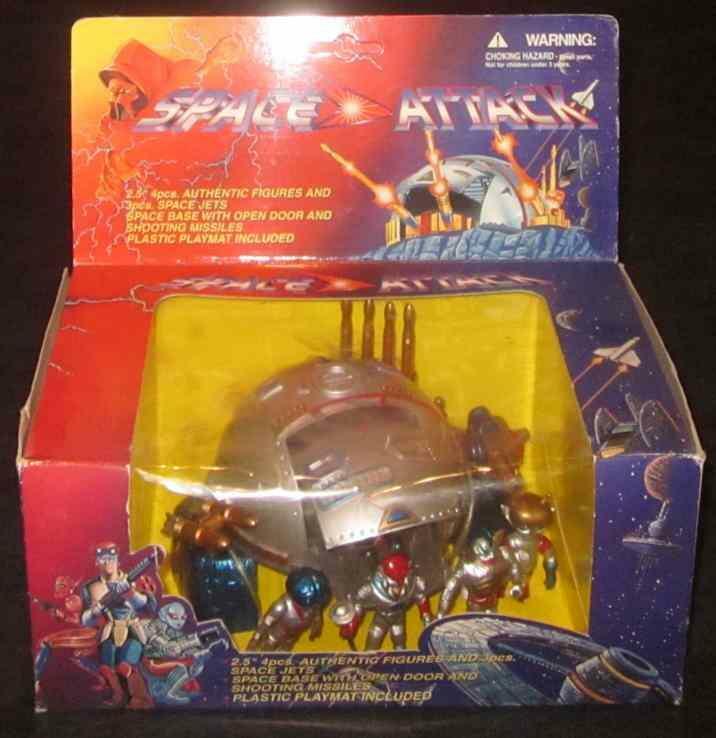 This is another Space Attack playset, this one with a space ship for the aliens. 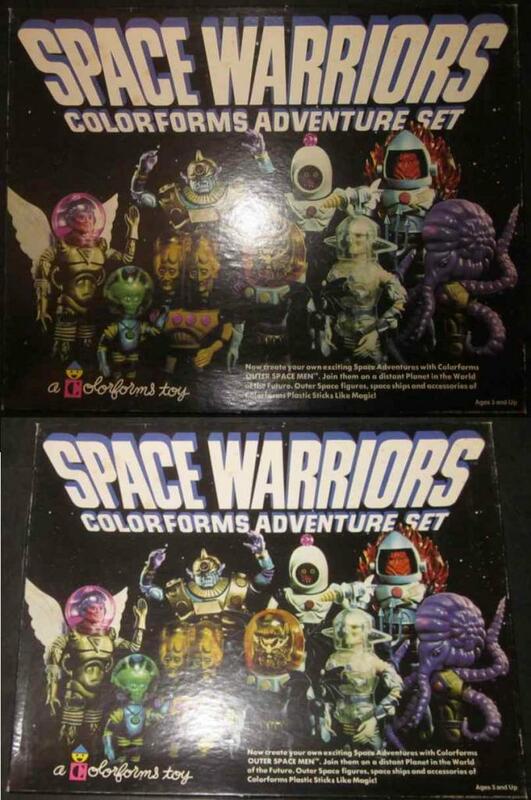 Only Orbitron, Xodiac, Colossus Rex and Alpha 7 are included in this set. 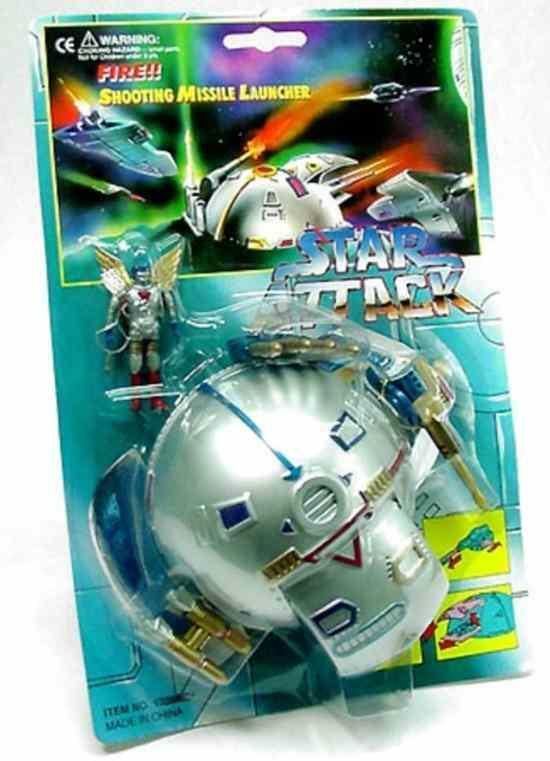 Here is another "Star Attack" version of a Space Attack set (above). It appears to be identical other than the box and title of the toy. 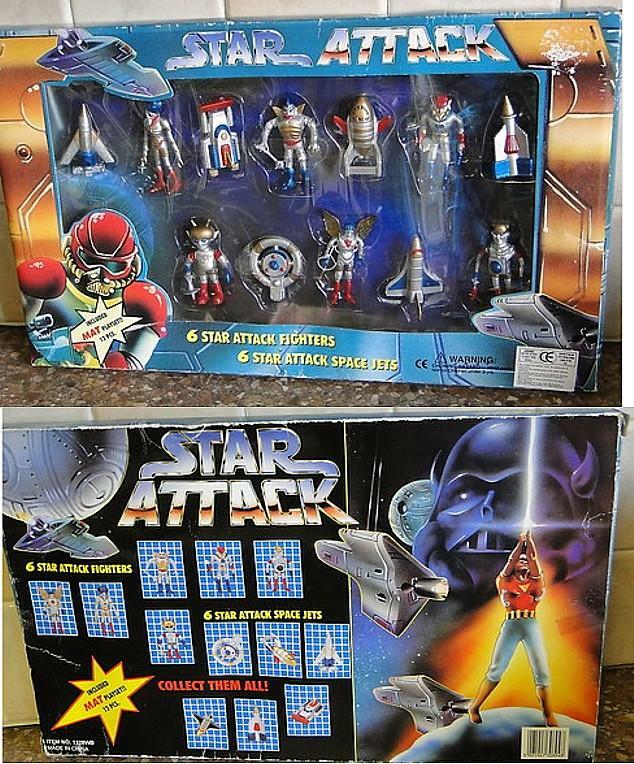 Here is yet another Star Attack play set. This one has a space ship identical to the above but this set only has one alien. I know of another card just like this one with Electron instead of Commander Comet. 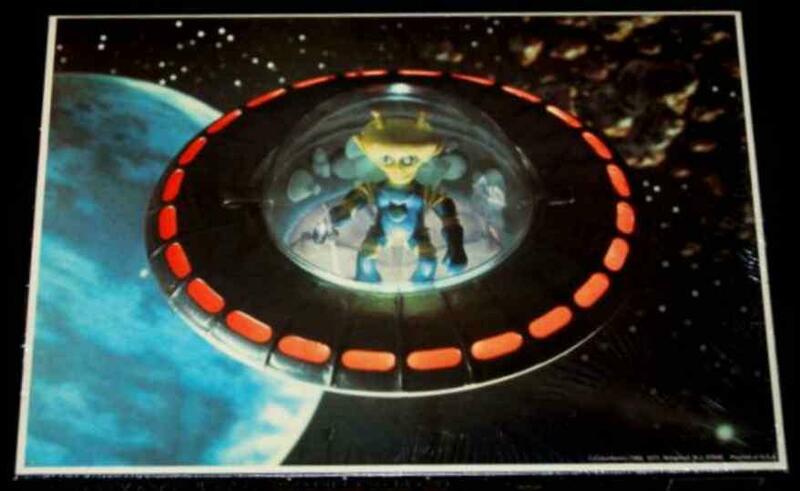 Considering the boxed set above has the other 4 aliens, this card probably only comes with C.Comet and Electron. (picture of Electron card to come). 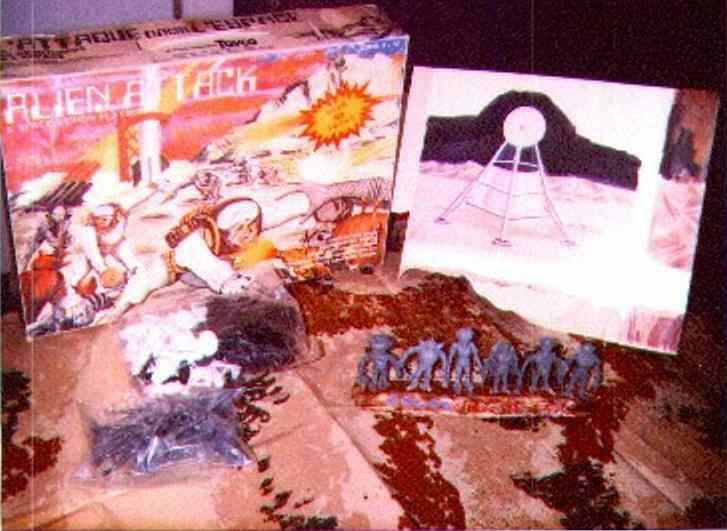 This is the Alien Attack play set which was produced in 1983. An artist's rendition of Colossus Rex's hand and Alpha 7's head can be seen in the lower right hand corner of the box. This set includes many figures, but most importantly, one of each of the 2.5" grey aliens. 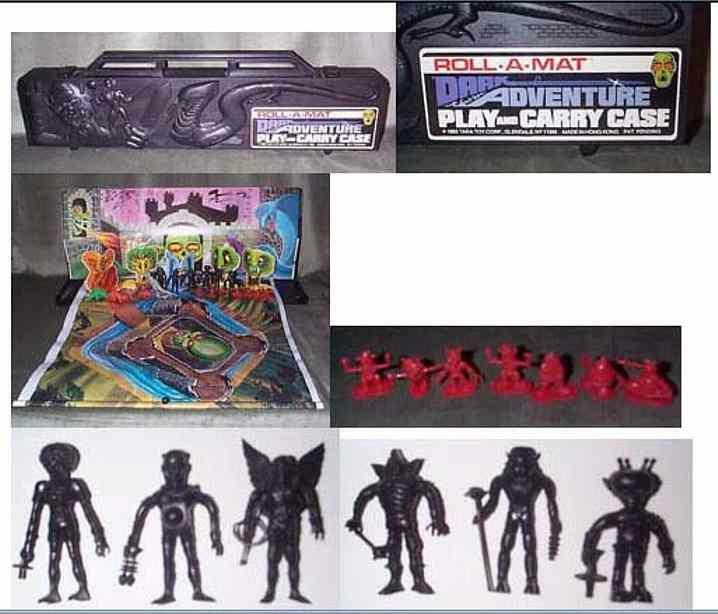 Below are pictures of the Dark Adventure set which is also from 1983. 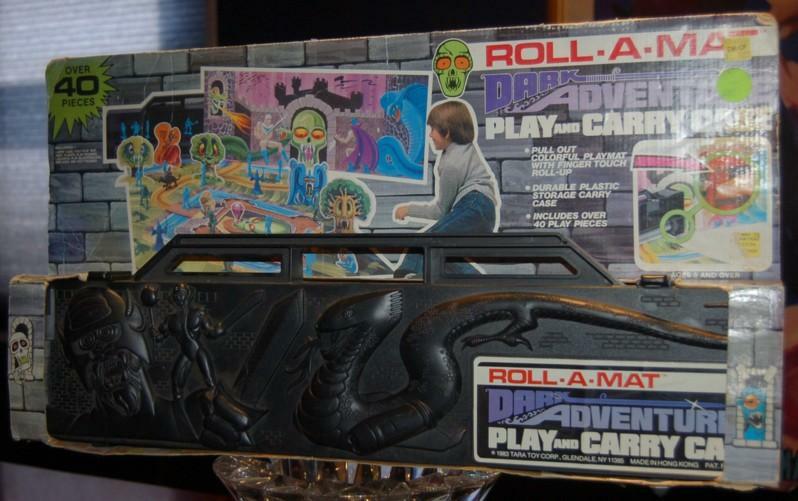 The below are two images of the Colorforms adventure set that introduced the 2nd series aliens to the world in 1977. The "Space Warriors" was Colorforms attempt to capitalize on Star Wars since they failed to get the License to do Star Wars. IMO the Space Warriors are much cooler than Star Wars. 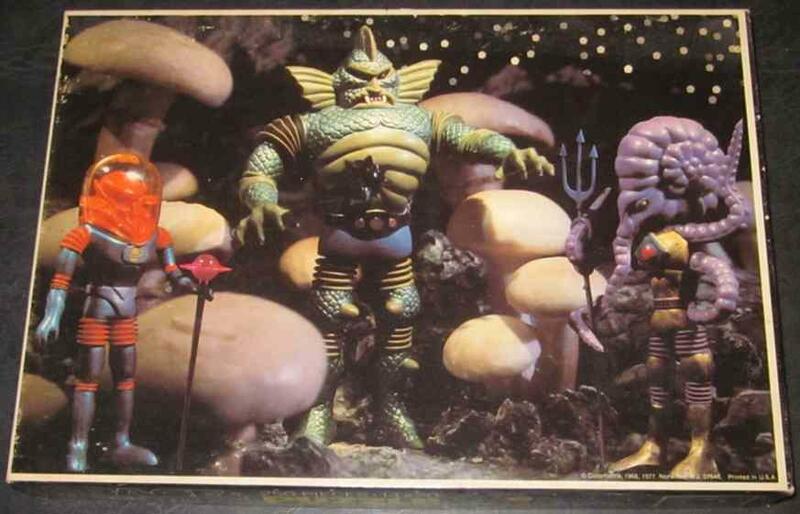 Below are the four Outer Space Men Space Warriors puzzles released in 1977. How excited I was as a child to once again see Colossus Rex (who I had a few years before but had lost) and aliens such as Cyclops for the very first time. At the time I thought for sure this marked the imminent re-release of these aliens. Unfortunately that never happened, though Mel Birnkrant and Colorforms owner at that time certainly tried.